48,240 miles Day Van Diesel Manual Renault 3 Seats 2 Berth 4 Doors 2 Previous Owners Full service history non franchise 2011 (60 Reg) 4×2 Grey 2463 Master MOT Until 07/2019 12v Power, ABS, Air Con, Alarm, Battery Charger, CD / Radio, Cab Air Conditioning, Central Locking, Electric Mirrors, Electric Windows, Fridge, Immobiliser, Laminated Floor Construction, Leisure Battery, Lined Curtains, Mains electric, Power Steering, Pull Out Bed, Rear Seat belts, TV Aerial, Warranty. Disable access Lift in the back All our Motorhomes come with a 12 Month RAC Warranty and Complimentary 12 Months Roadside Assistance. ***Why Buy from us? *** Great Value & Service. Well established Business. Includes a Habitation Check, Service & Warranty. Stock is hand picked & prepaired to a high standard. Experienced staff to answer any questions 7 days a week. All our motorhomes are:- Fully Damp Checked HPI checked for outstanding finance, the stolen register & not damage repaired. Checked that it is mechanically serviced and up to date including cambelt. Full handover explaining all the features John Charles Caravans is part of Burlingham Caravans Ltd and has been supplying pre owned touring caravans, motorhomes & campervans since 2008. It has built up great reputation which is shown by the high number of returning customers and recommendations each year. Being part of Burlingham Caravans Ltd give customers a large choice with the support of all the team including our engineers and the shop for accessories or parts 7 days a week. We hand pick our stock from many sources and many are generated from part exchange. This stock is checked by our team once arriving. Each retail Motorhome, Campervan & touring caravan is Cris or HPi checked, then fully prepared and serviced by our service engineers before delivery giving you full peace of mind. All our service engineers are fully gas qualified to work on your Motorhome, Campervan or touring caravan. We also can carry out routine annual services, repairs and damp repairs. We pride ourselves with high standards of presentation whilst giving the customer value for money in a relaxed atmosphere. 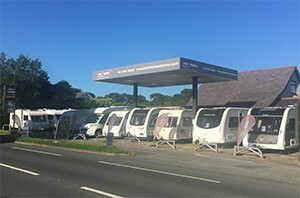 Our sales team will give you all the advice required to help you choose the right motorhome, campervan or value touring caravan to enjoy your holidays. If it is your first time we will spend that extra time on handover ensuring you understand the full operation to relax on a site. 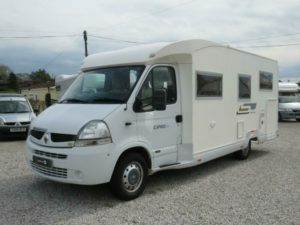 We also can arrange delivery of your new purchase or collection of your part exchange providing you have viewed our caravan or motorhome first. The location of our business is surrounded by beautiful countryside and the Trough of Bowland. There is an abundance of touring sites and storage in the area so you could enjoy a short break or holiday after collecting your caravan. Please ask for details of local sites or storage. See More photos of this camper at our website. 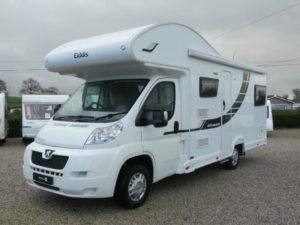 John Charles Caravans is a well established Caravan Dealer in the North West. Pre delivery inspection checking all appliances, tyres & brakes, for any damp & gas checked by our engineer.